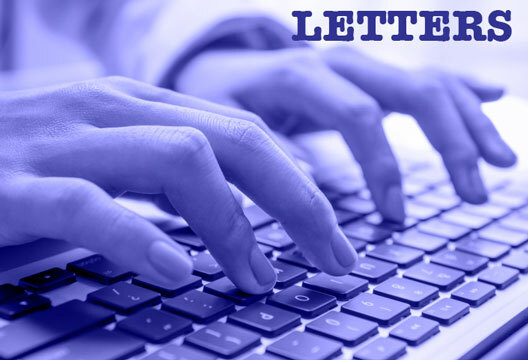 Letters respond to Patrick Vesey. I am not clear what argument Patrick Vesey thinks is reinforced by his example of young people who display symptoms of schizophrenia due to autoimmune encephalitis (‘Keep looking for biological causes’, February 2016). The obvious response is that the appropriate diagnosis is actually the latter, not schizophrenia. Presumably some other physical diseases might also give rise to psychotic symptoms. However, it is not obvious what this has to do with the question of whether or not schizophrenia is a distinct illness with a biological basis. ‘Disease entity’, conceptualised in terms of aetiology and course, functions as a key theoretical concept in medicine (Hucklenbroich, 2014). Particular disease manifestations are explained by the underlying disease entity (e.g. influenza, autoimmune encephalitis, etc.) and its interactions with environmental forces. The assumption that schizophrenia is a distinct disease entity is a guiding motivation for the continuing attempts to discover a biological explanation for it. However, the enormous amount of research conducted over many years has failed to deliver any unambiguous conclusions about this. Compare this with the progress in understanding the aetiology of Alzheimer’s disease, despite very limited research resources. In the absence of definitive and replicable results, it is perfectly rational to reject the disease assumption motivating schizophrenia research and adopt an entirely different paradigm instead. Vesey wonders whether there is a group of psychologists opposing research into biological causes of mental health difficulties. If there is such a group, I suspect their main motivation is actually to promote psychological accounts of human mental distress! Hucklenbroich, P. (2014). ‘Disease entity’ as the key theoretical concept of medicine. Journal of Medicine and Philosophy, 39, 609–633. I have to say, I was shocked but pleased to see mention of NMDA receptor encephalitis (NMDA-r) in the February issue of The Psychologist. My sister has been battling this condition for the past two years, and so far I haven’t encountered a single mental health professional that is aware of the condition, even though (as Patrick Vesey rightly points out) it’s now thought that between 5 and 10 per cent of first presentations of psychosis could be related to the presence of antibodies rather than part of a functional mental health breakdown. Indeed, my sister counts herself lucky to have received a diagnosis at all. It was only due to a chance opportunity to take part in a research trial that led to this being considered as a possible cause of her difficulties. Even so, it took a year before she had a specialised assessment and received a definitive diagnosis; a year where she could have been receiving treatment. The research trial that started this all off has now concluded and her Early Intervention Service no longer routinely screens for NMDA-r. Although she tried to receive treatment in her local area, this wasn’t comparable to the treatment she received in another part of the country, and so she now travels over 200 miles every month in order to access this. I know of no group within our profession doing what Patrick suggests, but given the low profile of NMDA-r in the UK my family and I would very much welcome this. My sister could have spent the rest of her life under the impression that she has a chronic mental health issue when in fact she has a treatable neurological condition. Thanks to that research trial she is finally starting to make a recovery, but it’s been a long two years for us all.